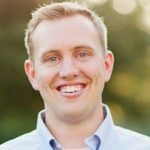 Justin is the Baptist Collegiate Ministry Director at the U.S. Naval Academy since 2010. He also is a Reserve Chaplain in the Air Force.